Nick Woolfolk is one hard working man. He has to be to keep up with his mentor and past Volunteer of the Year John Wheeler. He certainly goes down as the pitmaster of the year for Operation BBQ Relief in 2016. He manned the pits and was responsible for more meat then anyone in 2016. When going through the nominations it was repeated over and over how hard working and inspirational he was to so many. 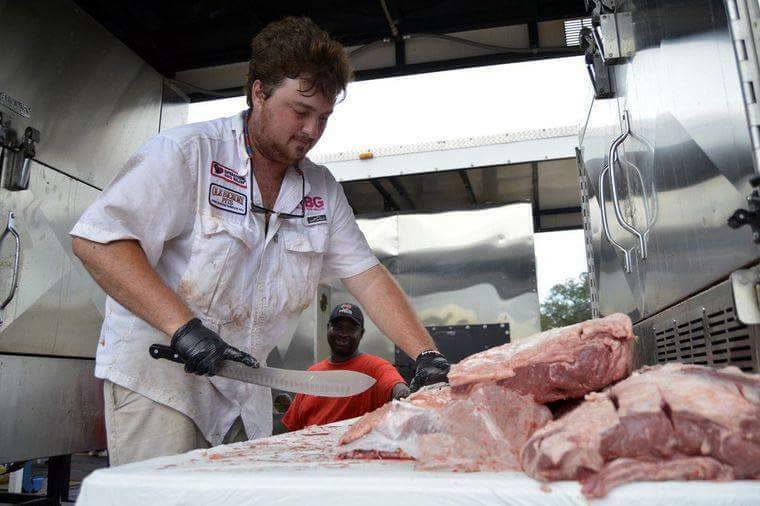 Nick gives us faith that the next generation of pitmasters and Americans are going to be great! We are honored to serve alongside Nick. Please congratulate Nick on his well deserved nomination as Volunteer of the Year!